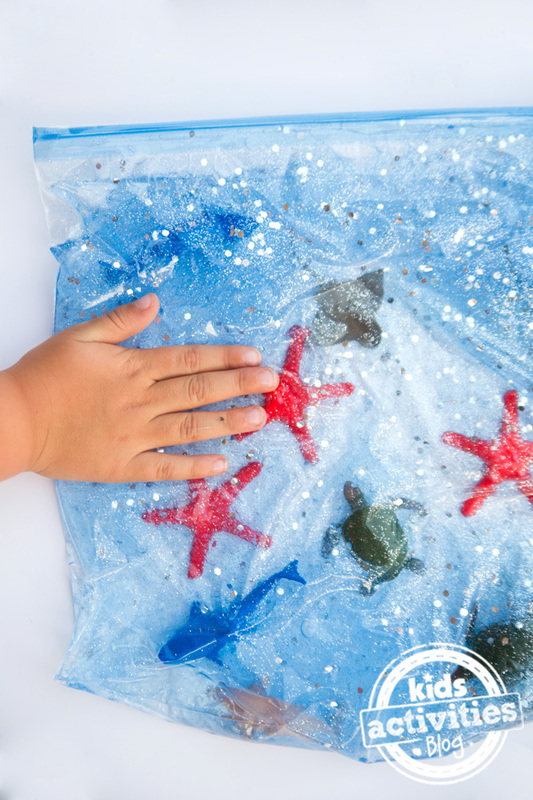 This Ocean Sensory Bag is a fun way to experience the deep blue sea for little hands. My toddler loved squishing the bag and feeling the animals inside. It’s a great way to bring back memories of our trip to Starfish Point in Grand Cayman, when he held a starfish in his hands. 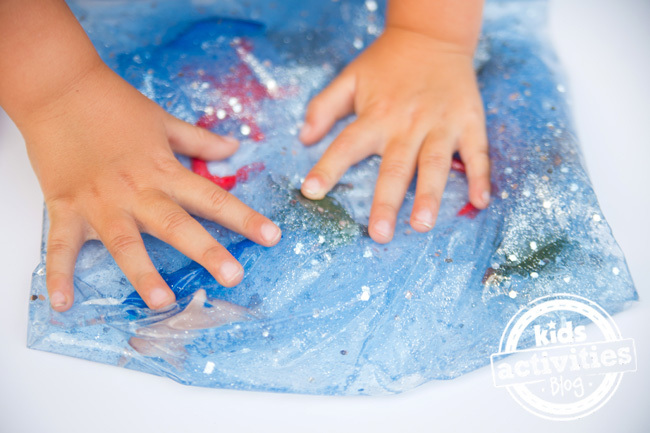 Sensory bags are great because they keep the mess contained. While we love our sensory bin, sometimes it just isn’t practical to have colored rice where my toddler can dump it on the floor. And the gel in this sensory bag is really fun. What kid doesn’t love something this squishy? Squirt the hair gel into the ziplock bag. Our bottle of hair gel was already blue, but you can add blue food coloring if you want to give it a bit more color. Add glitter to the bag, along with the animal toys. Seal the ziplock bag, removing as much air as possible. Use the packing tape to secure the seal. You can even line the edges of the ziplock bag with the tape to prevent it from leaking. 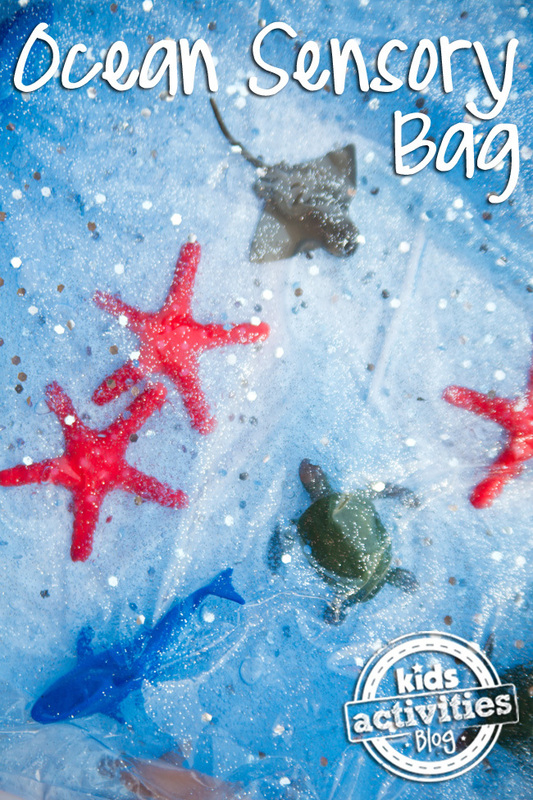 Now, your ocean sensory bag is ready for play! 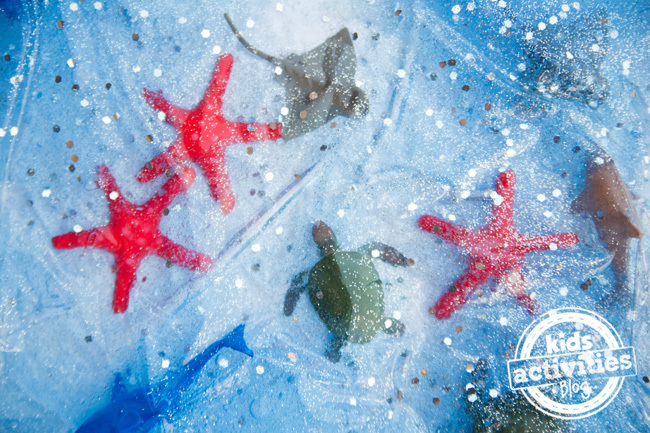 Check out these other ocean activities for kids for even more sea-worthy ideas, like this ocean play dough!